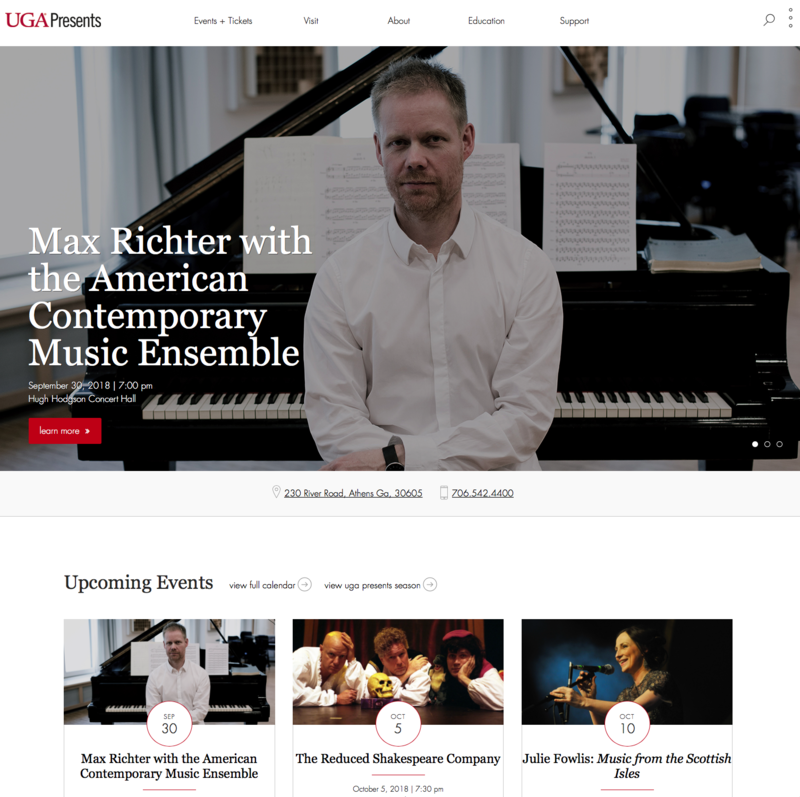 UGA Presents has launched a completely redesigned website. With the appointment of Jeffrey Martin as the new Performing Arts Center director, the time was right to unveil a different look to reflect the new direction in programming. In planning the site, the Performing Arts Center staff looked at cutting-edge performing arts websites from around the world and took inspiration from major institutions such as New York’s Carnegie Hall, using a sleek and elegant look. The major function of the website is to sell tickets, so the focus of the design is to easily convey information to patrons and direct them to the ticketing page.